Do you LOVE to make art? Is it time to try something new? There are a TON of arts and crafts classes in and around Boulder, offered by amazing, talented teachers. Learn how to make ceramics on a potter’s wheel, explore watercolors, try your hand at quilting and so much more! Nomad Bead Merchants offers a variety of jewelry-making classes. Upcoming, check out their Wire Squiggle Earrings class! Make one or two long, glorious, swingy pairs of earrings with briolette wrapped dangles. Class will choose from brass, copper or nickel silver wire. You will learn how to shape elegant squiggles and hammer them out, then texture before adding drops. Nomad Bead Merchants offers a variety of jewelry making classes regularly, check their calendar here. Nomad Bead Merchants is offering the Wire Squiggle Earrings class in Boulder on Saturday, February 24, 2018 from 3PM – 5PM. Tuition for the class is $35 (materials will be provided). Call the store at 303-786-9746 to register for this class. Sling some mud and have a blast! Check out Beginning & Beyond Ceramics at Mudslingers Pottery, learn or re-learn the basic potter’s wheel, hand-building & glaze techniques. Create functional forms like mugs, bowls and vases. Mudslingers also offers kids classes and more advanced ceramics classes. Mudslingers Pottery offers Beginning & Beyond Ceramics in Louisville on Mondays, Tuesdays, Fridays and Sundays. Tuition for the class is $180. To register, call 303.926.0996 or email: mudslingerspotteryinc@gmail.com. Quilting looks fun, but it can feel a little daunting as a beginner! Whether you are brand new to quilting or need a brush up on your skills, Fabricate‘s Intro to Quilting Series is an excellent place to learn. In this comprehensive three-part series, you will learn all the quilting basics. The progressive steps of quilt-making will be covered, from creation to finished product. Students will explore principles of design as well as the mechanics of rotary cutting, piecing, machine quilting and binding. At the end of class you will have completed your own unique quilt and will have gained the confidence to sew many more. Fabricate also offers intro to sewing classes, sewing project classes and more! Fabricate is offering the Intro to Quilting Series in Boulder on Sundays in March, from 9:30AM – 1:30PM. Tuition for the class is $150 not including materials (Fabricate will give you a 15% discount for materials purchased in-store). Register here. Have you been wanting to learn how to crochet? The Hidden Treasure 2‘s Beginners Crochet Class meets every Tuesday from 6PM – 8PM. Your instructor, Sandy, has been crocheting for many years and is ready to share her knowledge to get you started on your new craft. The Hidden Treasure 2 also offers sewing, quilting and jewelry making classes. 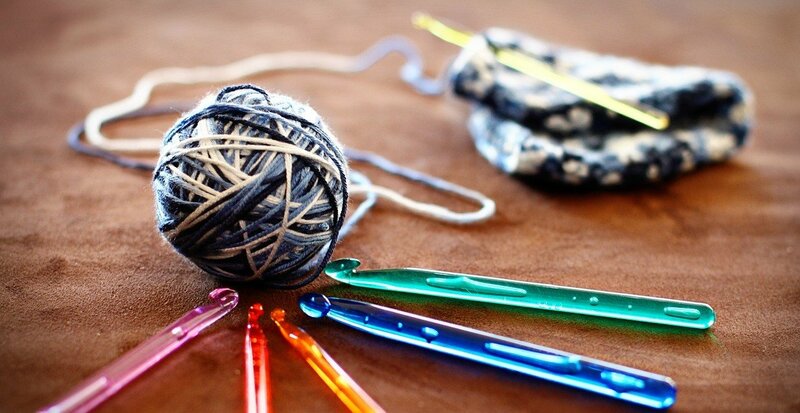 The Hidden Treasure 2 in Longmont offers a Beginners Crochet Class every Tuesday from 6PM – 8PM. The cost of the class is $35 for 3 Sessions plus approx. $10 for supplies. To register, call the shop at 720-340-9951 or click here. Try your hand at the beautiful art of watercolor painting! Watercolor Experiences is a class held at pARTiculars Art Gallery & Teaching Studio where you can learn painting with watercolors in a positive and successful atmosphere. Each class will begin with a mini lesson through a demonstration. Participants will experience playing with color and design and will learn many strategies for creating a finished piece. pARTiculars also offers classes in oils, acrylics, jewelry making and much more. pARTiculars Art Gallery & Teaching Studio in Lafayette is offering Watercolor Experiences on Mondays March 5 – 26, 2018 from 1 -3PM. Tuition for the class is $130. Register here. Take your photography to the next level by taking Boulder Photo Center‘s Creative Digital Photography class. The course begins with a brief review the basics of f/stops, shutter speeds, ISOs and White Balance, and learn how to use all of these many camera features together, to make shooting faster and easier, so that you can start doing more imaginative photography. Learn how composition works, see how light and shadow can bring your photographic subjects to life, whether you are taking candid people pictures, close up macro photos, landscape shots, high speed sports, snapshots or formal family portraits. In addition, learn to burn and dodge and crop with Photoshop or Lightroom for fine tuning your images and giving them that pro look. Boulder Photo Center offers the Creative Digital Photography class starting Thursday, March 8, 2018 from 6PM – 8PM. Tuition for the class is $175 and includes 4 weeks use of the digital lab. To register, call Don Oberbeck at 303-444-4568. Have you ever wanted to learn how to knit? Knitting warm, comfortable, attractive clothing is calming to the mind and soothing to the spirit (and fun!). This Beginning Knitting class at Shuttles, Spindles and Skeins covers needles, yarns and basic stitches with lots of time to practice, ask questions and discover the joy of this ancient craft. We will also make a hat! (Hat uses #10 ½ 16” circular needles and bulky yarn to be provided by student.) Straight needles, sampler yarn and book included in the course tuition. Shuttles, Spindles and Skeins also offers weaving and spinning classes! Shuttles, Spindles and Skeins is offering this Beginning Knitting course in Boulder from 6:30 – 9:30PM Wednesdays starting April 4, 2018. Tuition is $100 for 4 sessions. Register here. Boulder School of Metal‘s Intro to Metalsmithing class runs Tuesdays from 10am – 1pm, April 10 – May 15, 2018. The course tuition is $335 + $60 fee for materials. Register here.